Whitham Thoroughbreds’ undefeated homebred McCraken has been installed as the 7-5 morning-line favorite in a field of seven 3-year-olds for Saturday’s 93rd running of the Grade 2, $1 million Toyota Blue Grass. The 1 1/8-mile main track test serves as a major steppingstone for the $2 million Kentucky Derby, to be run May 6 at Churchill Downs. 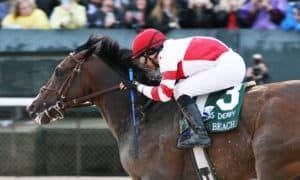 The Toyota Blue Grass offers 170 points toward qualification for this year’s Derby, with 100 points going to the winner, 40 to the runner-up, 20 to third place, and 10 points to fourth. 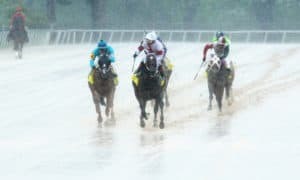 The Kentucky Derby is limited to the top 20 points earners that pass the entry box, and currently, the cut-off line is 20 points. The Toyota Blue Grass will go as the 10th race on Saturday’s 11-race program, with an approximate post time of 6:17 p.m. ET. 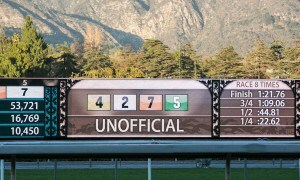 The first post time on Saturday is 1:05 p.m. 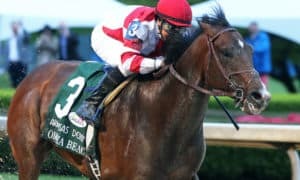 Trained by Ian Wilkes and ridden in all four of his starts by Brian Hernandez, Jr., McCraken has won three stakes, with graded victories coming in the Grade 2 Kentucky Jockey Club at Churchill Downs to close out 2016 and the Grade 3 Sam F. Davis at Tampa Bay Downs in his lone 2017 start. McCraken will break from post position two in his bid to give Wilkes and Hernandez their first Toyota Blue Grass victory. Second choice on the line at 5-2 is Bridlewood Farm, Eclipse Thoroughbred Partners, and Robert LaPenta’s Tapwrit. 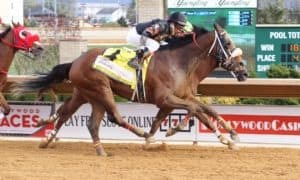 Winner of the Grade 2 Tampa Bay Derby in his most recent start, and runner-up to McCraken in the Sam F. Davis, Tapwrit will be attempting to give seven-time Eclipse Award-training Todd Pletcher a record fourth Toyota Blue Grass victory. 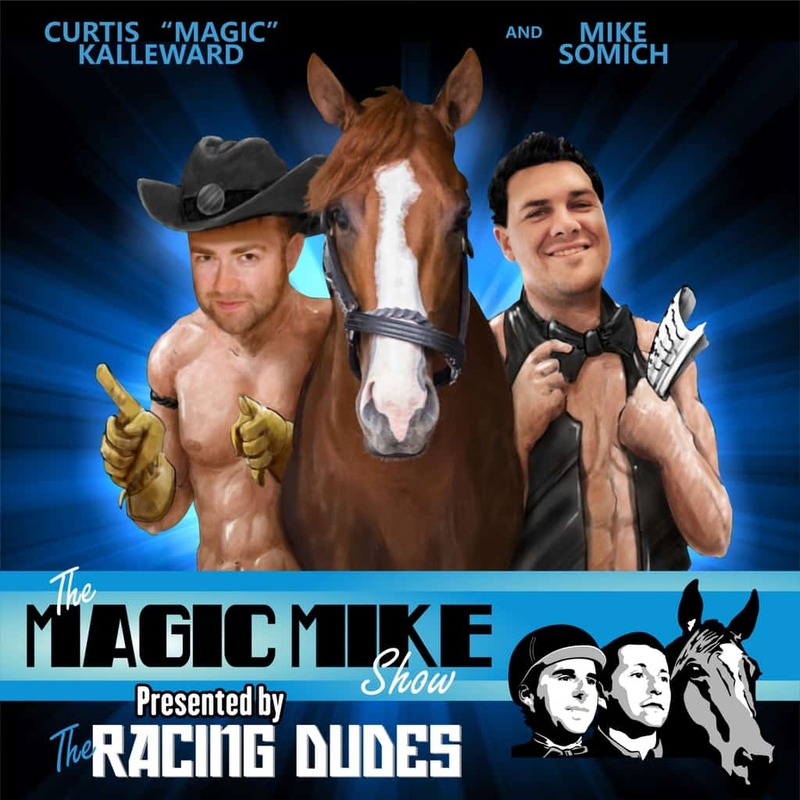 #2 McCraken – This is going to be quite a race, as my number one ranked horse takes on my second, sixth, and seventh-ranked horses! 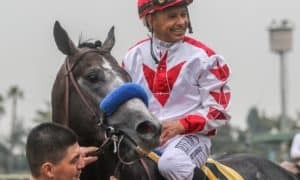 There is no doubt that McCraken has earned this number-one ranking with a perfect 4-for-4 record, and my second-ranked horse, Tapwrit, flattered him even further by winning the Tampa Bay Derby last time out. Even though McCraken is ranked so highly on everyone’s list, he actually comes into this race in need of Kentucky Derby points. He’s only earned 20 points thus far, so he’ll need a top-3 finish to secure a spot in the starting gate on the first Saturday in May. I don’t see that being a problem, though, as he has been working out unbelievably well leading up to this race. It’s a super-tough prep, but if he is truly the number-one horse in the crop, he’ll get the job done. 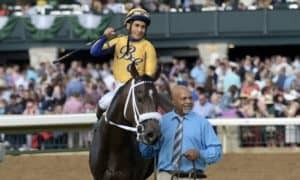 #4 Tapwrit – When it comes to progressing as we go down the Kentucky Derby Trail, there’s no doubt that this horse is the biggest rising star. The Todd Pletcher trainee was not highly regarded going into the Sam F. Davis at Tampa, but he finished second to McCraken. He returned to that track for the Tampa Bay Derby last time out and dominated the field by 4 1/2 lengths. He keeps running faster and looking better with each and every race, and if you look at his breeding, he should like the distances getting longer. I’m not sure he can turn the tables on McCraken, but he’s a logical second choice in this race. #7 Practical Joke – The big question with him going into the race is, can he get the distance? Last time out in the Grade 2 Fountain of Youth at Gulfstream Park, he made a HUGE move as he circled the field, but he flattened out badly in the stretch and had to settle for second. So, did he flatten out because it was his first race off a layoff, or did he flatten out because he doesn’t want to go around two turns? 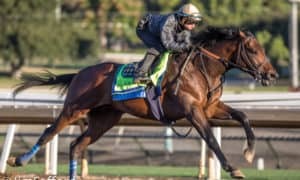 All I know is, his move in the Fountain of Youth was the strongest I’ve seen on the Derby trail this year and reminded me a lot of the type of moves that Exaggerator made last year. I’ll put him on all of my tickets based on that, but I also would not be surprised if he flattens out again. Need help playing our picks? Try our PREMIUM selections! #3 J Boys Echo – This is the real wildcard in the race. His speed figure from the Gotham Stakes was faster than anyone in this field has run, which is really saying something. However, can we trust Aqueduct? Can he repeat that type of race against a much tougher field? Also, I find it a little strange that they picked this spot for him instead of going back to Aqueduct, where he was so successful last time out. He’s got some proving to do, but his last race can’t completely be ignored. It wouldn’t shock me if he won it, but I just really love the three horses I’ve put ahead of him. NONE – The four headliners in this race are McCraken, Tapwrit, Practical Joke, and J Boys Echo, none of which would be a party crasher. The other three have very little shot at winning. #5 Wild Shot – He’s run behind really nice horses in his last four races, including Classic Empire, McCraken, Tapwrit, and State of Honor. It’s hard to think that he can turn the tables on McCraken or Tapwrit as he hasn’t shown he’s on their level. Perhaps he could surprise and hit the board, but I prefer others in here. 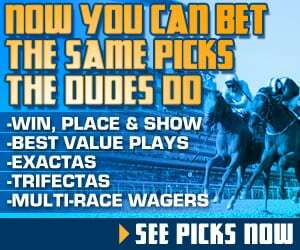 #6 Irap – Everybody’s favorite maiden now ships to Keeneland! 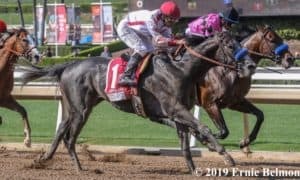 Just two weeks ago, he was an average fourth in the Sunland Derby, and three races back, he was second in the Robert B. Lewis Stakes. He’ll undoubtedly leave this race an 0-for-8 maiden, but it wouldn’t be a total shock if he ran competitively here. #1 It’s Your Nickel – I’m curious to know why this one didn’t run in the Spiral Stakes at Turfway Park two weeks ago. He impressively won the John Battagalia Memorial Stakes over that surface, and if he could have repeated that effort in the Spiral Stakes, then he would’ve won that race, too. I don’t think he’s quite as effective on the dirt, and this field is super tough. It’s hard to see him hitting the board.